I bought this auxiliary light originally for the Suzuki Aerio’s cargo area as it had no lights at all. But as some of you know, that car got written off not long after I got it. So I had this light and was wondering what to do with it. And this is where I put it to use while at the same time, swapping the dome light bulb to an LED as well. 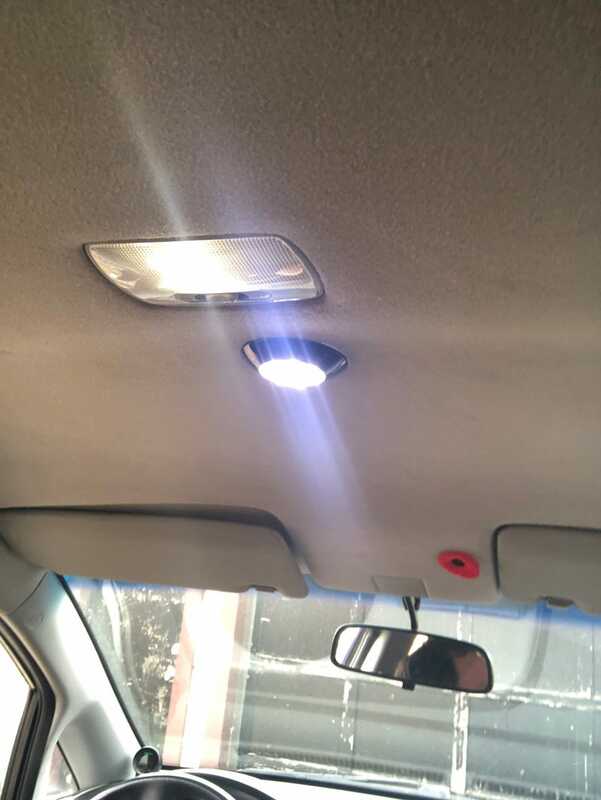 I also swapped the cargo area bulb with a brighter LED bulb.